“This company did a great job on our chain link fencing as well as the pvc privacy fencing. They exceeded our expectations in every way. The install crew were very professional as well as the person giving the estimate. I would rate this company a 10 out of 10. If you need fencing this is the place to call” Teresa T.
“Great Job. Everything was installed as per our contract in a timely and professorial manor. I’m very pleased with the job and will recommend this company to my friends.“ William G.
“The installation of the fence was done on time and looks great!” C.
“Great experience! The guys from Sunstate were professional, punctual and did a perfect job! All at a very competative price. I will definitely refer them to my friends….. Thank you!” Michelle P.
“The job was done on time as promised and the price was right.” Mike G.
“Very pleased with the fence installation.” Richard U. “Great company. Came when promised, cleaned up after completion. 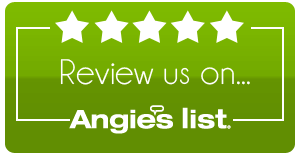 Friendly, knowledgeable workers.” Elliot N.
“Bryan and his staff were very helpful in providing an estimate and carrying through with the project. The Vinyl fence is made of high quality material. Would highly recommend Sunstate Fence and Gate to prospective customers.” Frank N.
“Good job in the rain, quick and right!” James B. “Gave us a quote right there on the spot. The 2 other companys I had come out 1 never got back to me and the other took over 2 weeks to get back to us with a quote. I told them to late!” Nancy and Paul A. “Awesome job. On time. Project was completed in two days as promised.” Tim H.
“Very detailed, cleaned up after themselves, friendly.” Scott E.
“Great guys. Affordable but a great quality product. Clean and fast Installation. Thank you guys!” Javier N.
“I highly recommend Sunstate fence. Our fence was installed 4/28/2017 and almost decimated by Hurricane Irma. They came quickly and discounted the fence and installed it swiftly and efficiently.” Karin B. “Came out right away gave a decent estimate did the job on time pleased with their work.” Michael D.
“I would highly recommend Sunstate fence. It looks great, they installed it swiftly and we are very pleased with they work that to all at Sunstate Fence.” Curt H.
“I have hired 5 different fence companies over the last 30 years. I had problems with all of them until I hired Sunstate. They let me know the day before they were going to arrive. I spoke about my specific needs with the crew that worked to build exactly what I needed. Excellent communication! If I ever need more fence work, I will hire Sunstate.” Lisa B. “I was lucky to have chosen the best company right off. The customer service was great from the start. They came out and installed the fence sooner than expected. Great crew everything was perfect right from the start. My vinyl fence looks amazing. Choose this company you will not be sorry.” Chris B. “Sun State Fence measured and installed 60 feet of aluminum 4 ft fence in an extremely curved area in my front yard..they also installed a gate over my side walk in that area.This company responded immediately to my first call and came the next day to measure for the fence…then had the estimate in my email by early the next day..they accommodated changes I had to make with no problem..they were honest ,punctual,and a company that was a pleasure to work with for my fencing needs…They finished a few days ago and I have already called them to come and measure my back yard for fence..You will not be disappointed with this company for your fencing needs…” Patricia R.
“Brian and his team were very professional and helpful.” Albert G.
“Great experience! The guys from Sunstate were professional, punctual and did a perfect job! All at a very competitive price. I will definitely refer them to my friends….. Thank you!” Michelle P.
“I would recommend Sunstate Fence and Gate to anyone looking for a quality fence and great service. Sunstates entire staff was helpful and very professional. The fence looks great and was completed in just two days! There was no mess and the fence is very well built. Thank you Sunstate!” Lucas B.
Sunstate installed chain link fence across back of property line and aluminum picket fence with gates at the side entrances to our yard. The whole process from making an appointment for an estimate to the installation went smoothly. Harry made a couple of suggestions to improve on our original idea for the project. All calls were returned on a timely basis. I would recommend and use Sunstate again for any fencing needs. Gary & Nancy K.
Sunstate installed a board on board wooden fence for our backyard and removed our existing fenced and hauled it away. Since we have a pool, they had to phase the job so the pool would be secure at all times. We wanted to keep the newly installed gate so they had to tie into it as well as reverse the fence to place it parallel with our neighbor’s fence along one side. They dug up the many existing posts which were cemented and hauled them away. We contacted Mike and he returned our call and set up a site visit to perform an estimate within a few days. On Friday, January 11 we signed a contract to install a new board on board fence and remove the existing fence. They required a 33% down payment and the rest upon completion. Mike called to have the utilities marked that day and estimated to have the fence work start Tuesday or Wednesday the following week and last two days. The utilities were marked on Monday and they arrived before 8 am to start work on Tuesday. 2-3 men were at our house to install the fence including Mike. All were very polite and professional. They worked a minimum of 8-10 hours both Tuesday and Wednesday to compelte the job. They were meticulous in lining up the fence with the existing gate. They cemented all the posts in and returned the ground to grade. They removed the old fence, including many existing old post stumps, and left the yard clean of any debris. Very satisfied. Tiffany C.